Early this morning, I went to Forest Park around the water hole to look for the Cerulean Warbler that was reported at that location. There I met another birder, Pat Jones, who indicated that he was there for over an hour and did not see the bird. Needless to say, the bird did not make an appearance; however, both Pat and I thought we heard the call…though it was somewhere in the park and too far off to pinpoint the location. Pat stayed with me for about another hour or so and then left. Activity around the water hole was minimal; nevertheless, I did get nice looks at a Northern Water Thrush and male and female Grosbeaks. After spending about an hour and a half at Forest Park, I decided to try the gardens at Jamaica Bay Wildlife Refuge. 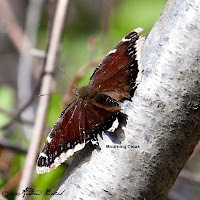 While the gardens were quiet, I did pick up a few additional species since my walk there on Saturday. They included, Warbling Viero, White-eyed Vireo, Northern Parula, Baltimore Oriole and Great Crested Flycatcher. 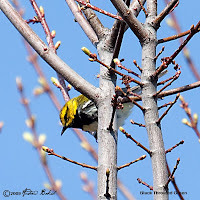 While walking the North Garden trail, I met another birder, Terry Clark (sp), who indicated that he had a "Hooded Warbler" in the North Garden. I tried for that bird, but I did not hear or see the bird. I am sure it is around, but must have moved around, so I will have to keep and ear and eye out for that one the next time I visit. Slowly but surely, spring migrants continue to show up. Since, April 6th, when I reported the Fox Sparrow, there has not been a lot of new visitors other than the regulars. However, in the last few days, a couple of new visitors showed up including a new species for the backyard list and the first Spring Warbler. 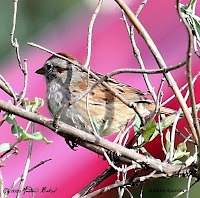 The new species was a “Swamp Sparrow”, which makes number 85 for the backyard; I was surprised and delighted to see this bird as this was one that I had hoped to see in the garden. I tried really hard for an open photo of this bird, but it was not cooperative and I had to settle for a documentation shot. 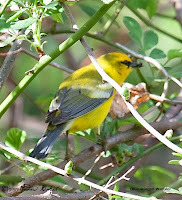 The first Spring Warbler in the backyard was a singing male Yellow Warbler, who I heard first and then tracked him down. The other new visitor was a Chipping Sparrow; the lone goldfinch that stayed through the winter now has about 9 new friends. 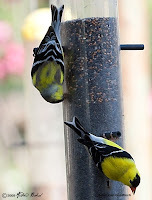 I am thoroughly enjoying the songs and bright colors of the male Goldfinches who are in spring plumage. Other backyard activities include the work I am doing on repairing the grape arbor as rain and age took a toll on the construction. Unfortunately, it meant that I had to cut back the grape vines and that will affect some of the other visitors that were attracted to the fruit. As far as Spring planting, I have added two Red Cedars and a Female Northern Bayberry. 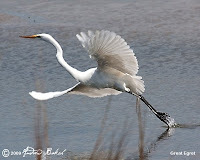 On Sunday, my friend Don Riepe and I took a group of about 16 people to the Great Swamp National Wildlife Refuge and the renowned Raptor Trust in Morris County, New Jersey. Our first stop was at the Raptor Trust, which was an opportunity for the group to get close ups of many birds that one would not normally get close looks at. Many in the group had first time looks at many of the Owls, my favorite was the Great Gray, though it saddened me to see it caged. 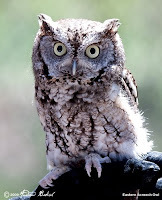 A nice treat for the participants was the Barn and Eastern Screech Owls that were brought out and displayed for all to see. After the Raptor trust, we visited the Great Swamp National Wildlife Refuge and walked the boardwalk, here we looked for birds and amphibians; we saw Blue-gray Gnatcatchers, Eastern Bluebird, Yellow Warbler, water snakes, green frog, painted turtle, spotted turtle and snapping turtle. After the boardwalk, we decided to visit the "Friends of Great Swamp" bookstore, this is a neat little bookstore operated by volunteers and many of us were happy to make donations. By then, many in the group looked tired due to the heat, as it was a very hot day. Though we had designs on visiting another location named the "Overlook", we just drove by and did not even bother to get out. We called it a day sometime around 4:00 pm and headed back into the city. 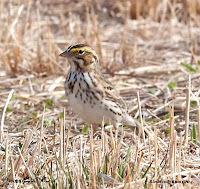 Spring, is one the most exciting time for birders. It is the time of the year when birders...even those late risers, get out early to catch the wave of migrants that are either returning or passing through. Added to the excitement, is the element of a surprise rarity, which when it occurs, sets off a wave of euphoria in the birding community. On Saturday, I teamed up with my friend Don Riepe in co-leading a Spring Migrant walk at the Jamaica Bay Wildlife Refuge. As usual I decided to do reconnaissance and got to the refuge around 7:30 am. Unfortunately, there was heavy fog around the area and I did not get to see as much as I would have liked. Nevertheless, I hiked the West Pond Trail until bench 9 then turned back and headed over to the East Pond making a stop at Big John's Pond along the way. Big John's was quiet and so I headed back to the Refuge to prepare for the walk. At the refuge, Don had setup to do a slide show presentation, in which he covered the history of Jamaica Bay. We soon after began the walk at around 10:30 am. Our group was a large one...too big by birding standards as we were well over 60. To make it less of an issue we sort of split the group up. I took the ones that were more interested in birds and the rest stayed with Don. 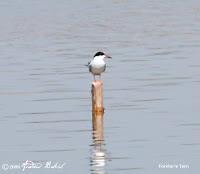 As we walked along the West Pond trail, we had our first highlight of the day, with a Forster's Tern that was bathing in the pond and then proceeded to perch on a post preening itself giving us all good looks. Our second highlight and probably the best one for most in the group was a "Black-throated Green warbler"...this was one of the Spring migrants that had probably arrived during the night and for some it was a life bird. We saw this bird along Terrapin trail and also had nice looks at a Tricolored Heron around the same area. We then continued on the West Pond and had many birds including looks at Great Egrets, Snowy Egrets, Oystercatchers and Lesser Yellowlegs. We made the loop and walked the North garden. The North garden was pretty quiet, though I did hear a Blue Headed Vireo, but could not locate him. Back on the trail towards the South Garden, I heard and then found Yellow Warblers singing. Many in the group got great looks and were quite happy at picking up their second warbler of the day. We birded the South Garden, but there was not much happening there with things relatively quiet. Heading back to the visitor's center, we came across Black Racer snakes copulating on a brush pile. This was the first time I had seen them so big at the refuge; the group all had good looks and for some it was the first time seeing a Black Racer in the wild. Once back the refuge, Don indicated that he had to leave for another engagement and so I took those who were interested to the East Pond. Along the way, we stopped at Big John's pond but that location was also quiet. We browsed the East Pond, but other than a few Gadwalls, there was nothing there that we had not already seen. 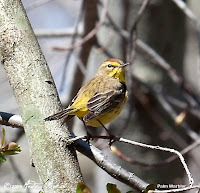 I took some of the birders into the East Garden as I heard Yellow Warblers singing and we found a couple. 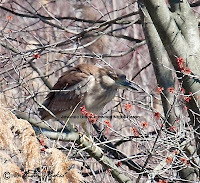 Heading back, we stopped at Big John's and this time I spotted a Black Crowned Night Heron hiding in the Phragmites, it was not an easy find and I used that subject to challenge the group find it. They all tried very hard, but could not locate it and so I ended up telling them the location. Hopefully, they enjoyed the challenge as it was my way of getting them to sharpen their skills. We got back to the refuge where the group thanked me and went their way. I rested for a bit and then I decided to bird both the South and North gardens. One person from my group a lady by the name of Kanthi came with me. Together, we picked up 4 additional species, with the highlight being a "Blue-winged Warbler". Including in the four was a Blue Headed Vireo, maybe it was the one I had heard earlier. By then it was around 5:00 pm and the light in the gardens was fading, so I decided to call it a day. The total species sighted for the day was 64. 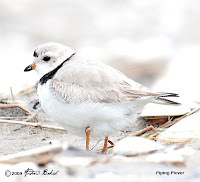 On Thursday, I decided to head out for an early morning visit to Plum Beach to see what other migrants might have arrived since the restoration project on Saturday. 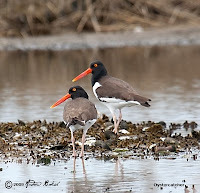 As I entered the marsh area, my first observation was American Oystercatchers at the tip of the marsh. I counted about four of them, and then I noticed a raised head from among the Phragmites. 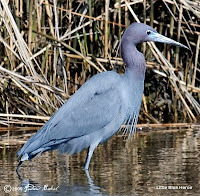 A closer look revealed a Little Blue Heron, a first of the year for me. Little Blue Herons are gorgeous birds and I maneuvered into a position where I was able to get a decent photo. After observing this bird for a while I moved on leaving it to feed. Further into the marsh, I heard the call of a Willet and tracking the sound, I found 3 of them feeding near the mud flats. 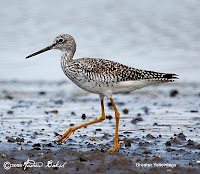 In addition to the Willet, I also found a Greater Yellowlegs, presumably one of the two seen on Saturday. Further checking the marsh, I found a Great Egret and also a Snowy Egret. 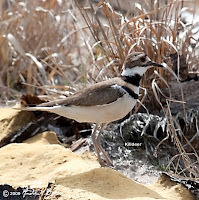 On My way out, I spotted one Killdeer. I left Plum Beach and headed to JBWR. I was supposed to do some work with my friend Don Riepe, but he was not able to make it, so I decided to bird the West Pond at JBWR. 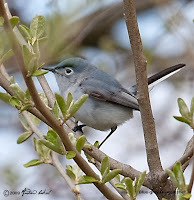 It was quite windy at the refuge; nevertheless, I did get a Blue gray Gnatcatcher right outside the visitor’s center and a Canvasback duck on the West pond. Other than that the usual species of Ruddy Ducks, Red-breasted Mergansers and Greater Scaup were the dominant presence on the West Pond. The North and South gardens were pretty quiet with nary a warbler present. Hopefully things pick up by Saturday at the refuge because I will be there co-leading a walk. On Wednesday, I went out to Breezy Point to help out in a National Park Service Earth Day initiative named Operation Beach Sweep. There were only a few people in attendance; nevertheless, we worked the trail and headed out to the beach. I walked ahead of the group and decided on hiking the beach after putting in a couple of hours work. I saw a few species during my hike with the highlight being Piping Plover, Barn Swallow and Black-belied Plover. On Sunday, I volunteered with NYC Audubon on an Earth Day initiative at the Jamaica Bay Wildlife Refuge. The project was to remove invasive shrubs mainly “Buckthorn”. I was very keen on this project because of my love for JBWR and also I had a role in organizing the event. The concept of the project got off the ground during the 2008 Christmas Bird count event in Central Park. During that event, I had a discussion with an Audubon representative who indicated that they were looking for possible sites to fulfill an obligation that required restoration projects in partnership with Together Green. Being very fond of Jamaica Bay Wildlife Refuge, I nominated the site and things just took off from there. I got to JBWR around 8:30 am and being always on the lookout for my feathered friends, I spotted Savannah Sparrows in front of the visitor’s center. I took some time out to take some photos. As I was putting away my camera, I saw a friend of mine arriving, Ron Borque who is an avid birder and naturalist. Ron, I learned was going to participate in the project and wanted get an early start. I was of the same opinion and so we checked in with the rangers got our tools and headed out to the West Pond Trail. Ron and I tackled our spot with zest and soon we had a nice pile of cut brush. In fact one of the rangers came by and told us we were working too fast (jokingly of course). By 10:00 am other volunteers began to trickle in. I gathered volunteers together and gave them a short spiel on the objective and did a demo on using the tools. We were mainly using weed wrenches and loppers to tackle the project. By 11:00 NYC Audubon personnel arrived; though…far fewer than the 50 or so volunteers that I heard were going to be in attendance. Nevertheless, we had a good turnout with about 45-50 people, most were American Littoral Society members, locals and folks who were just frequent visitors at the refuge. The group worked very hard and we put in a good 5-6 hours of work with only stoppages for water and lunch, which was provided by NYC Audubon. Everyone received a pin and a bandana as a token of appreciation for their efforts, but most people were just happy taking care of a place we all love. Click here to see photos from the event. On Saturday, I volunteered with the ALS (American Littoral Society) in an Earth Day initiative at Plum Beach in Brooklyn NY. The project included debris removal, planting Beach and Spartina grass, Red Cedars, Beach Plums, Bayberries, Virgina Roses, Shadbush and Pitch Pine. We had a great turn out with over 100 volunteers in attendance; coupled with outstanding weather, it made for a very productive day. The first half of the project was debris removal. Don Riepe and I got to Plum Beach around 8:45 am and began to unload tools, gloves and other items. Fred and Barbara Torborg joined soon after and Barbara began the task of setting up the tables. Volunteers began trickling in around 9:00 and by 9:30 we had a nice group that had gathered at the round house. They signed in, listened to instructions from ALS members Barbara Torborg and Barbara Cohen and received gloves and garbage bags. Several teams then went to various parts of Plum Beach and began cleaning up. Debris was removed to the edge of the bike path where the National Park Service rangers used a truck to bring the garbage to dumpsters that were located by the parking lot. Around 1:00 pm, volunteers took a much needed lunch break. Skipping lunch, I went back to the marsh area where I had observed some bird activity and I was able to see and photograph a few species including a Great Egret, Killdeers, Oystercatchers and my FOY(first of the year), Greater-Yellowlegs. After lunch, it was onto part two of the project which entailed planting. We broke up into three teams, “Upland Team” whose objective was to plant (Cedars, Bayberries, Beach Plums, Pitch Pine and Virginia Roses), “Marsh Team” whose objective was to plant Spartina Grass and “Beach Team” whose objective was to plant Beach grass. I led the upland team, which consisted of around 35 volunteers. Don Riepe who was all over the place aiding various groups took the other two teams. My group walked to our selected site and within about 2 hours had planted well over a hundred plants. We regrouped at the round house around 3:30, where some of us gathered for group photos, others rested and some of us went to assist in planting Spartina Grass. The event was very successful. We had good weather and terrific volunteers. Even better was the fact that there was less debris to remove than I remember from previous years. I look at it as a positive outcome from all the hard work put in by all who help to maintain the site. Hopefully, at some point we could concentrate our efforts on another location; for now, we will continue our efforts to keep Plum Beach as pristine as we could. We will be back in the fall for the Annual Coastal Cleanup. I hope to see as many or more volunteers then. Click here to see photos from the event. 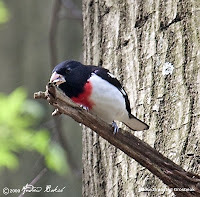 Yesterday, I was hoping before the Barn Owl work that I could have done some birding at Hempstead Lake Park. I had asked my friend Don Riepe if he was interested and he was all for it on Wednesday but when Thursday came around he instead suggested Forest Park. A subsequent visit there turned up nothing out of the ordinary. 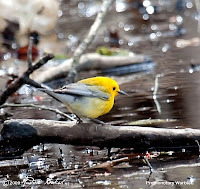 Today, I went by myself to Hempstead Lake Park in search of the Prothonotary Warbler that was reported by several birders as being sighted around Schodack Pond. I got to the park around 10:00 am and I headed out for the pond. As I got to the location, I met birders Bob O’Neil and Robert Grover, who were both in search of the same bird. Neither had seen the bird and so we all went off on our separate ways in search for the bird. My search took me along the bank of the stream that ran out of Schodack and I quickly picked up both Ruby and Golden-crowned Kinglets. While listening to the various calls, I picked up several Blue-gray Gnatcatchers, Palm Warblers and a lone Northern Rough-winged Swallow all FOY (first of the year) birds; however, there was no sign of any Pine or Prothonotary warblers. On my way back, I spotted Bob and Robert hurrying towards me, they had seen the Prothonotary; Robert, had spotted it first and told Bob who in turn was trying to locate me. By the time they found me, it had moved on. Not at all dissuaded, I dug in for the wait comforting myself with the knowledge that the bird was still around. Bob and Robert soon left and I met two other birders Larry and Mike. Mike was reminding me that we had met at Jamaica Bay chasing down a Wilson’s Phalarope, when I saw movement in the pond. I quickly got my bins on the location and there it was, the Prothonotary in all its glory. It flew in and out on the edge of the pond, but nowhere near that I could get a decent photo. Since, I had already put in an hour or so, I decided that I would wait it out for a photo. Larry and Mike soon left and I was joined by even more birders, Jim and a delightful gentleman by the name of Ralph Cioffi who had been birding for many, many years and apparently was no longer able to get around very easy. In fact Jim had brought a chair for him to sit by the pond. Ralph was very affable and after chatting with him and learning that it was two years since he had seen a Prothonotary, I decided that I had to get him one today. After about an hour waiting in which I had walked to the beginning of the pond and back. I saw the bird again, this time I got a couple of photos; better yet, I was able to point it out to Ralph who had good looks. 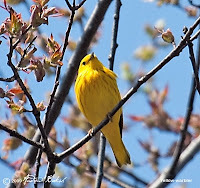 While congratulating Ralph, I was joined by another respected birder Sy Schiff; while chatting with Sy, the Prothonotary flew in again and this time I was able to get closer to the edge of the pond and really take in this bird. The looks I had were spectacular and I was able to get several more photos. After about another half an hour or so Sy, who had already birded Jamaica Bay decided he was going to head out and feeling quite pleased with the day’s results I called it a day as well. With the new Barn Owl boxes all setup, we have been seeking out those boxes that have somehow gotten overwhelmed in the overgrown brush. Yesterday, Don, Doris and I worked on clearing out the brush around one such location. It was not an easy task as our chain saw was not functioning well and so we relied on one lopper and a machete that was rusted and dull. Nevertheless, Doris and I tackled the task with zest and before long we had a nice clearing. In the meantime, Don had left and returned with a Cordless Reciprocating Saw, which helped a lot in taking out some of the bigger branches. After securing the side door and adding some screws to shore up the bottom, we were done. While it is a bit late in the season, there is a possibility that this nest could be used by young Barn Owls. We have completed our part in making the abode as accessible and comfortable as possible; in another a month or two we will check back to see if any Owls took up residence. Despite battling a cold, I tried to get some more yard work completed. Today, I put in an hour removing some of the "Buddleias" that I had cut back a few weeks ago and removing most of the old "Echinacea purpurea" or Purple Coneflower. If you are wondering why I am doing this now and did not do so in the fall it is because I leave everything as is through Fall and Winter, to provide food and shelter to the birds and other visitors to the garden. The garden was quite lively as far as activity and sounds, with Red-winged Blackbirds singing and visiting the feeders; Mockingbirds were also flying around establishing their territory, maybe they will nest again in the Colorado Spruce as they have done in the past few years. The male Eastern Towhee, was also singing and I took some time to listen and attempt to mimic its call. I thought I did pretty decent and for a while, it seemed I was getting him to respond when I copied his call or so it seemed. Other birds observed during my work included a Song Sparrow several White-throated Sparrows, Starlings, Robins, Cardinals, House Finches, a Brown Thrasher, a pair of Downy Woodpeckers, 4 Monk Parakeets and a lone American Goldfinch. I also noticed my first Bumble Bee of the season; however, no sign of any warblers as yet. This afternoon, when I saw the sun peeking briefly from behind the clouds, I headed outside in hopes that I would get a chance of photographing the Spring visitors that I had noted yesterday. Despite waiting and searching for about 30 minutes, there was no sight of the Brown Thrasher or the Fox Sparrow. 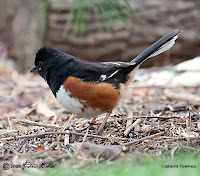 However, I did hear and then found the Eastern Towhee. Whom, I was able to photograph before the sun disappeared behind the overcast clouds. Interesting how things come together. Yesterday, I canceled part of my birding day to get some garden work done in anticipation of Spring arrivals and today a few of them showed up. This morning, I noted a Fox Sparrow and a Male Eastern Towhee foraging among the brush pile that I created specifically for ground feeders. Later in the afternoon while checking the undergrowth with my bins, I saw my FOY Brown Thrasher. So, in a matter of hours, I have seen three new visitors...maybe, that was a reward for getting some yard work completed. I wonder who else would show up if I get more work garden done? Hopefully, they hang around so I could get some photos when the weather permits. With the recent rainfall, it was nice to get out and do some birding. Today, I opted for a walk at the Jamaica Bay Wildlife Refuge. I got to the refuge around 8:30 am and decided to make the East Pond my first stop. 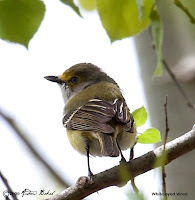 On my way towards Big John’s pond, I picked up my FOY(First of the year) Pine Warbler, which was hanging out with some Yellow-rumped Warblers; in the same vicinity, there were several Eastern Phoebes flitting in and out on the edge of the trail looking for food. At Big John’s, I spotted my first of the year, Black-crowned Night Heron and counted four, two adults and two juveniles. Also on the pond was a pair of Wood Ducks, several Green-winged Teals, Blue-winged Teals, Mallards and Canada Geese. On the East Pond, things were a lot quieter as compared to last week, with Ruddy Ducks, Mute Swans, Double-crested Cormorants, Greater Scaup, Green-winged Teals and Canada Geese being the only action. On my way back to the vistor’s center, I spotted American Goldfinches, Tree Swallows, a Downy Woodpecker, Black-capped Chickadees and 4 Glossy Ibis’ flying overhead. 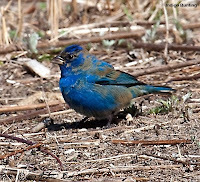 Back at the visitor’s center, I ran into a former neighbor and avid birder Albert Giordano, who informed me of an Indigo Bunting that was spotted outside the Visitor’s center in the newly mowed meadow. I made my way to the location and found Steve Walters, a naturalist and photographer, who was taking photos of the bird. I stayed back and allowed Steve to get off his shots and when the bird took off I made my way closer to the area. In due time the bird returned and I was able to get excellent looks as well as getting some photographs. I stayed for a while and chatted with Steve, then eventually moved onto the West Pond Trail. 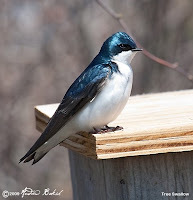 The trail was pretty active with Tree Swallows flying all around looking for nesting sites. However, on the West Pond things were pretty quiet. The usual suspects were present including the Canvasback that I had found last weekend, but nothing unusual. Over on Pumpkin Channel, I did notice a few additional Great Egrets and counted about 4 of them. I made the loop and walked both the North and South Gardens. Both gardens were pretty quiet with the exception of Robins and Red-winged Blackbirds; nevertheless, in the North Garden, I picked up another FOY in a Golden-crowned Kinglet. I wrapped up my walk around 1:30 pm and broke for lunch. I had planned on heading for another spot, but decided against it and instead opted for some garden work in order to take advantage of the good weather. I am glad that I did because I got some much needed work done and with rain in the forecast for the next few days, I needed to take advantage of all the good weather to get the garden in order for the Spring visitors. While working, I kept alert for any birds and I did note some activity. I had a new garden visitor in a Rusty Blackbird. The other visitors included, a pair of Downy Woodpeckers (I am hoping they nest and I see little ones this year), a female Red-bellied Woodpecker, Red-winged Blackbirds, Robins, Cardinals and House Finches. With rain in the forecast for the weekend, we decided to get out and complete our Osprey nesting platform work. I got to the boat around 3:25pm, which was late as high tide was at 3:00 pm, so we had to hurry. Nevertheless, we made good time to the site and docked, then offloaded our tools and materials. 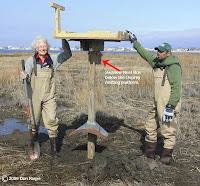 We quickly setup and installed the last of the 2009 Osprey Platforms. This means we are done for the year and just in time; most, if not all of the Osprey's are back in the Bay. Our next project is to build some swallow nest boxes which we will deploy at various sites. Also, on this outing I picked up my FOS Laughing Gull.